Why not brighten up your walls with one of our beautiful landscapes? September 2018 sees the arrival of a new body of work based on Vincent Van Gogh from artist Anthony D Padgett. In 2017, Anthony had a life-changing year, studying the legacy of Van Gogh, and creating 67 paintings to parallel and contrast Van Gogh’s life with his own. Anthony’s work is set around rural villages in North West England and from his pilgrimage to Provence, France. 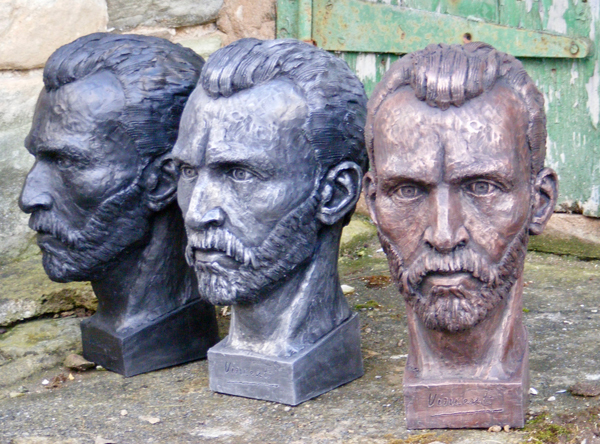 This has to be one of the most prolific projects I have ever known, especially when you consider that Anthony is a highly skilled sculptor who has also produced an impressive limited edition set of busts of Vincent Van Gogh. Several of Anthony’s previous sculptures have been sited at highly significant locations, including the New York Public Library. Anthony D Padgett was born in 1969 and is a new resident artist at Ascot Studios. His originals are available exclusively through our Ribchester gallery, a selection of which can be seen here. In my 14 years in the industry, I have not come across an artist who is more dedicated and professional in their approach to various artistic projects. 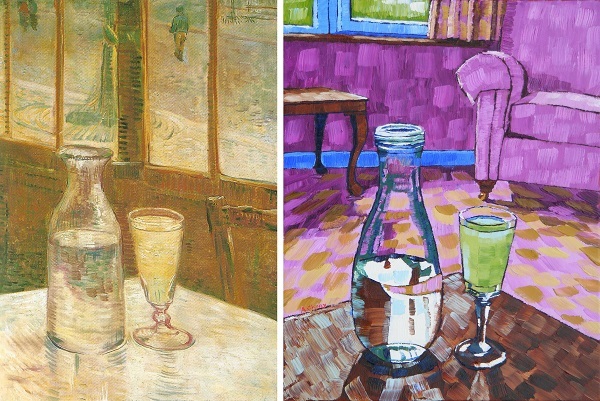 The resulting works show a genuine appreciation and empathy with Vincent the artist, and furnishes the viewer with an insight into his life and his genius. Every single painting measures 50cm x 40cm, so the works are easy to accommodate. I do hope you enjoy browsing through the work and sharing his wonderful artistic journey with us! Everyone has an idea of what Van Gogh looked like but nobody can really know as all the images of him differ. Based on a detailed analysis of all Van Gogh’s self-portraits, Anthony’s award-winning sculpture is an attempt to balance many of the different elements. Versions, each in different cast finishes, are sited in places associated with Van Gogh’s life such as Arles, the Borinage, Brixton, Ramsgate, Isleworth and Welwyn. Independent Contemporary Art Gallery based in Lancashire, UK, showcasing a diverse range of original paintings for sale from a select group of established Modern British & International Artists.